Time is allowed for bone to heal and grow around the dental implant. This process is call “Osseointegration”. The bone bonds with the titanium, creating a strong foundation for artificial teeth. A support post (abutment) is then placed on the implant and a new replacement tooth (crown) is placed on top of the abutment. In many cases a temporary replacement tooth can be attached to the implant immediately after it is placed. If all of your teeth are missing, a variety of treatment options are available to support the replacement teeth. Using the most recent advances in dental implant technology, Drs. Graef and Richardson are able to place single-stage implants when appropriate. These implants do not require a second procedure to uncover them, but do require a minimum of six weeks of healing time before artificial teeth are placed. There are even situations where the implant can be placed at the same time as the tooth extraction — further minimizing your number of surgical procedures. 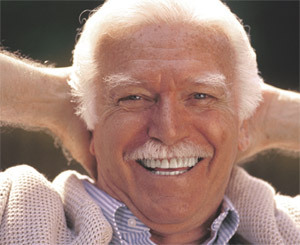 For more information, or to find out if Dental Implants are right for you, please call our office: 248-589-2021.